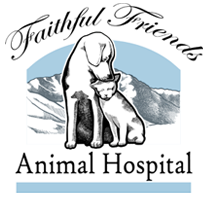 Here at Faithful Friends Animal Hospital, we have provided expert veterinary care in the Colorado Springs area since 1983. 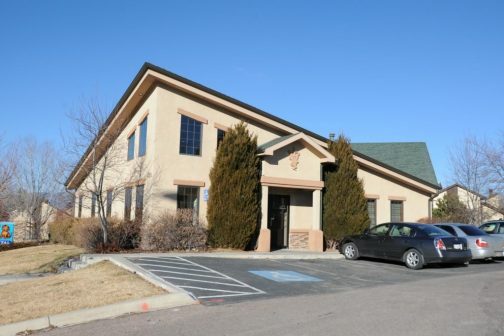 Dr. William Puryear has owned the facility since 1996, one year after he received his Doctorate of Veterinary Medicine from Colorado State University. Faithful Friends Animal Hospital strives to help people keep their furry friends healthy and happy. Regular wellness care is the backbone of pet health, and as your veterinarian, Faithful Friends Animal Hospital will help you figure out the best ways to keep your pet healthy at home and at the office. We believe that preventative care such as vaccinations, general screenings, nutrition, and exercise are the most important things that keep your pet in top shape for the long haul. Because almost every animal winds up ill or injured at some point in their life, no matter how careful their owner is, we also provide expert veterinary surgical care and illness management. Whether it is an acute illness that requires immediate hospitalization or a long-term condition like diabetes or heart disease, we are here to help you deal with the problem. Dr. Puryear's surgical expertise means that Faithful Friends Animal Hospital offers care that is unique among Colorado Springs veterinary facilities for both injuries and illnesses. The services offered at our modern facility range from basic care, such as wellness screenings and treatment of small injuries, to serious surgical repairs of both common and uncommon injuries and defects. Whether your pet needs a routine teeth cleaning, spay or neuter surgery, or reconstructive joint procedure, our veterinarian can help. Going to the veterinarian can be stressful for your pet, but we take every possible measure to reduce this stress. Our comfortable design and on-going attention to stress reduction in the veterinary environment helps animals be more at ease. You can help your pet by remaining calm, so we don't neglect the human comfort side of the equation, either. Faithful Friends Animal Hospital is looking forward to meeting you and your pet. From early puppy- or kitten-hood to the sunset senior years, we provide expert advice, care, and treatment for hundreds of conditions and issues. Call us today at 719-596-8544 to make an appointment.